San Lazaro (District National) landed 28-year old American power forward Denzel Bowles (208-116kg-89, college: JMU, agency: Dutt Sports Services). He played recently at Hapoel Eilat in Israeli Winner League, but left the team two months ago. In three games he averaged just 2.3ppg and 1.7rpg this season. 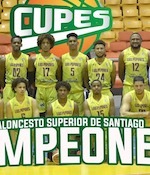 The last summer Bowles was tested by Vaqueros in Puerto Rican BSN where in three games he had only 2.0ppg, 1.7rpg and 1.3apg. Among other achievements Bowles' team made it to the PBA Commissioner's Cup Final Four in 2013 and 2015. He received also Asia-Basket.com All-Chinese CBA Honorable Mention award back in 2014. Bowles is a very experienced player. And here thanks to pro basketball he experienced life in eight different countries playing on four different continents. He is familiar with European, Asian, Latin American and of course North American leagues. Bowles has played previously professionally in Lebanon (Al Moutahed), Lithuania (Siauliai), Philippines (Hotshots), Venezuela (Marinos), NBA (New Orleans Pelicans and Indiana Pacers), China (Golden Bulls and Jilin Tigers), Puerto Rico (Leones) and United Arab Emirates (Al Naser). 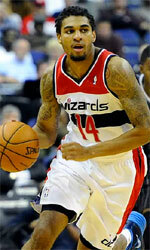 He attended James Madison University until 2011 and it is his seventh season in pro basketball.